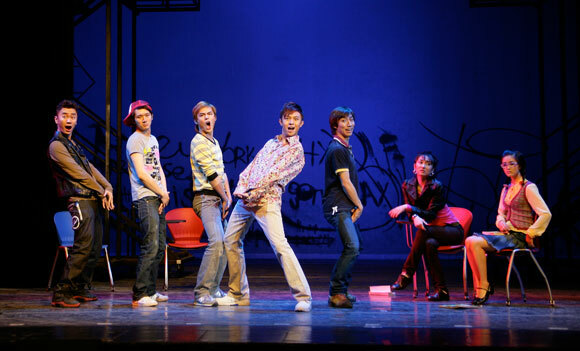 NYC PREMIERE China’s top drama academy stages the American musical Fame in the country’s first official collaboration with Broadway. During the eight-month rehearsal, five students compete for roles, struggle with pressure from family and authority, and prepare to graduate into China’s corrupt entertainment industry. Part of China’s single-child generation, they must confront complex social realities and their own anxieties, and negotiate their own paths to the “Chinese dream”. Screening with Vanessa Hope’s China in Three Words. An exploration of the complexity of modern China as reflected by three key words. NOTE: This screening is SOLD-OUT. Based on last-minute availability, a limited number of tickets may be released 15 minutes before showtime on a first come, first served basis to patrons in the RUSH LINE. For other films exploring dreams of making it big, check out WE DON’T WANNA MAKE YOU DANCE and 20 FEET FROM STARDOM. Author Yu Hua is one of the only “honest writers to survive in China,” as Ian Johnson recently wrote. This makes him not only a rarity, but also an inspiration. This short documentary takes its cue from an interview with Yu Hua about his latest book, “China in Ten Words,” focusing on words common in the Chinese vernacular, “Leader,” “Revolution,” and “Disparity,” with a fourth bonus word, “Bamboozle,” thrown in with a wink to its meaning. Each word is illustrated with a personal story and insightful, witty analysis of the breakneck social and economic change happening in China today.